Apparently old people love it! at least the ones at Corpus Christi Catholic Home for retired priest and nuns in Melbourne, Australia, do. The over 80 years old athletes have been learning the art of fencing for nine months now, and apparently they are getting quite good at it. One of the care-takers from the home said the old people were a bit reluctant at first but after having a talk with the convincing instructor, they said yes. Even 93 years old Sister Dolores says she loves the sport, even though she admits it’s a chalenge at her age and she’s always afraid she might fall over. What cup-size would you say that is? You’d probably need a lot more letters in the alfabet to come up with the right answer, because that’s one big bra. I haven’t been able to find much info on it but it could have been created by someone who wanted to show his passion for women’s breast. That or some brand used it in a campaign. Either way, one thing is for certain, this is the world’s biggest bra. Unfortunately that is simply impossible, considering it is one of a kind and designed especially for UEFA Champion’s League Finals ad for Dutch beer, Amstel. 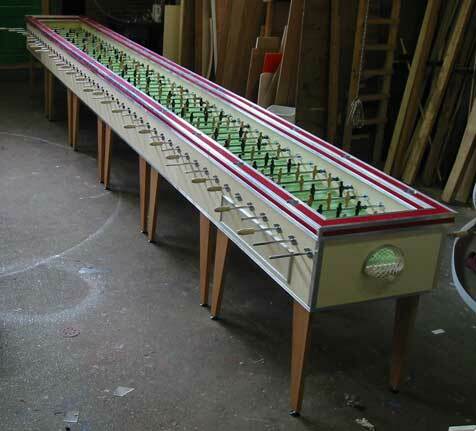 Still only seeing it and imagining how playing foosball on a 22 player table would be like, is worth it. The table can be dismantled and packed into 6 cases for transportation. Who knows, maybe after they’ll have filmed the ad, they’ll auction it or something, so keep your ears open and your savings close by. You know what happens if you drop a sweet mint into a bottle of coke right? What if 1500 people did it at the same time? That’s what 1500 students from a University in Belgium tried to find out and also set a new world record for the world’s biggest Mentos fountain. It wasn’t the most important experiment in the lives of the young chemistry students, but I can bet it was the funniest one. You can see the result of the experiment in the photos below, too bad I couldn’t find any more. It seams most things in India are done on the streets. 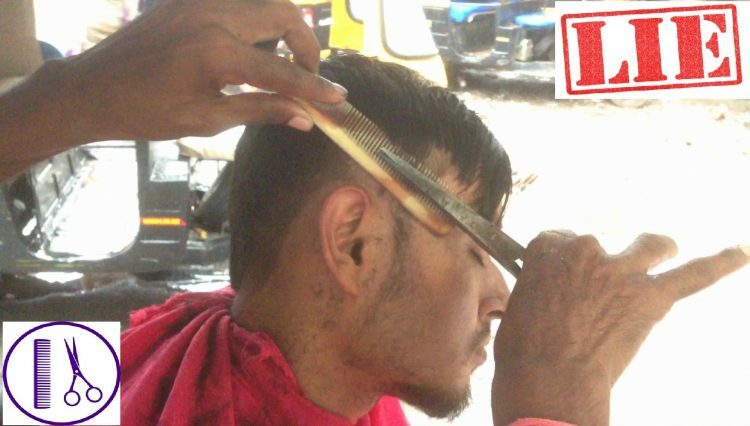 Although they’re not quite as interesting as India’s famous street dentists, the street barbers are one of the country’s trade-marks. 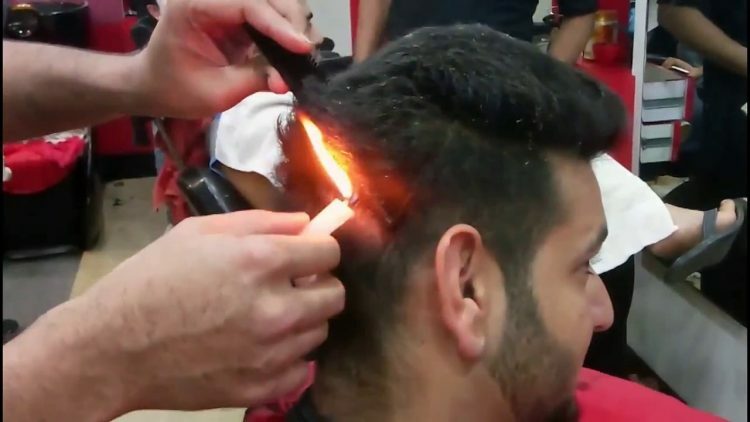 Sure the street is not the cleanest place to get a shave or a haircut but in a country where most can’t afford to go to fancy salons, they are a necessary evil. While this particular factory is hardly a place for children to play in, you can easily get confused. This is one of the many amusement-park-looking cement factories belonging to Zapa Company, in the Czech Republic. Thanks to the unusual ornamentation of its equipment and transportation vehicles. 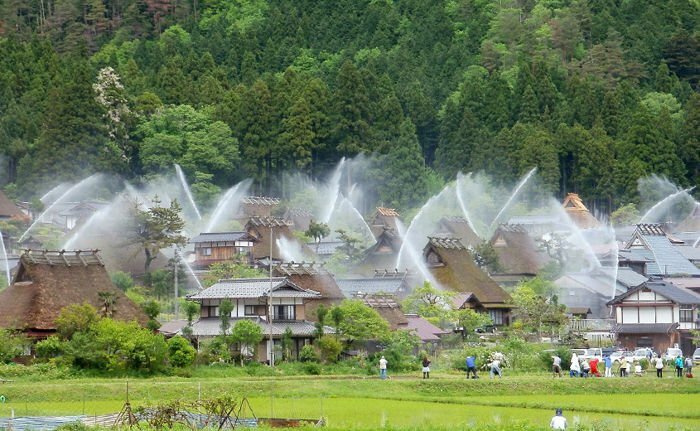 Zapa has managed to become not only one of the most successful companies in the country, but also one of the most popular attractions. Although I doubt any parent would let their child play in such a dangerous environment, I have to admit it’s a very original idea and, on a subconscious level, makes the company more likable. Just follow this link to Zapa‘s home site (which is also very colorful) and take a look at the photo gallery there. I mean who would go out of their way to build the world’s largest teapot or the world’s biggest boot? Probably someone who wants to get noticed and acknowledged as a person who made something remarkable, and because they can’t be the person who comes up with the cure for cancer, they build something extremely large and funny, it’s as simple as that. But I’m sure that they’re also very fun to make, just like everything that’s done passionately. Remember SAM, the ugliest dog ever, if you ask me. So he died like 3 years ago, so what something like that doesn’t really die that easily you know, this kind of creature is hard to forget. SAM held the title of World’s Ugliest Dog for 3 straight years (2003, 2004, 2005) and he was striped of it by his own mortality, dying due to heart complications, at the age of 15…My guess is he looked in the mirror by mistake, but that’s less important. SAM was a purebred Chinese Crested Hairless, but don’t imagine all of this race looks like that, oh no, he was just special. Taken in by Susie Lockheed back in 1999, SAM became an internet star, sporting his very own page on Wikipedia and some screen appearances. What makes them so special is the fact that they are all vertically challenged people, playing against under-13 soccer teams in their native Brazilian town of Belem. What’s even more amazing is that they are attracting huge crowds at their matches, because they’re apparently quite the entertainers. Here’s what watching movies like Grease too many times can do to a man. I haven’t been able to dig up too much on these silly looking guys, I just know they are some kind of entertainers in Yoyogi Park, Harajuku in Japan. Please, if you know more, don’t hesitate to let everybody know through a comment. I don’t what else to say but: LONG LIVE ROCK’N-ROLL! And no, that’s not slang for cool.